It as also bloody windy and the weather literally changes by the minute. I was hit in the face so hard by hail that I'm pretty sure I have permanent dints on my face. The people are kind (and speak perfect English) and helpful, the country is welcoming, and overall, I highly recommend spending some time in the country. 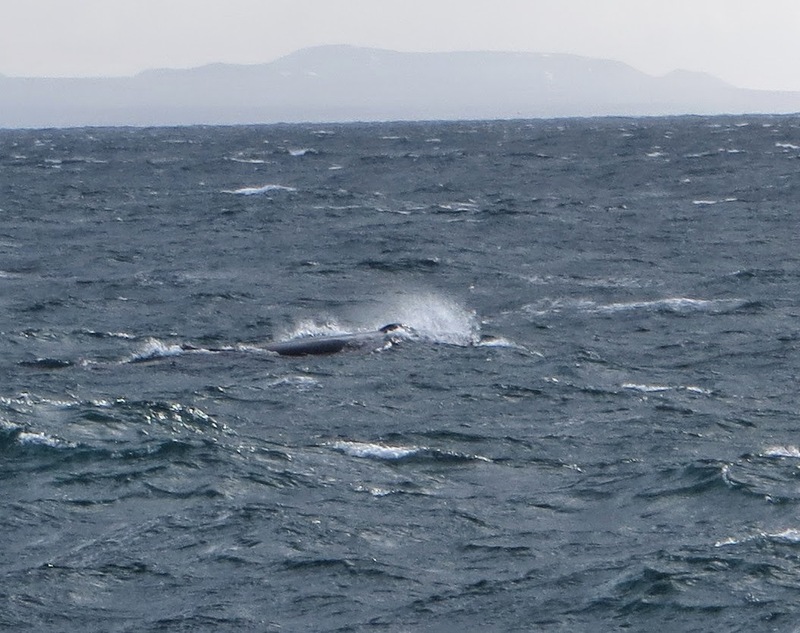 I flew overnight to Reykjavik, and ventured out whale watching that afternoon. Well we did see some whales close to the end of the trip, it was really a trip of watching people violently empty their stomachs as the seas were rough. Like... really, really rough. I'd taken some sea sickness pills, so I was fine, but many of the tourists saw a lot more of the inside of a sea sickness bag than they did the whales. The second day was a trip around the Golden Circle... where I saw some of the most amazing sights. The Strokkur geysir, Gulfoss, the meeting of the North American and European tectonic plates (where apparently Game of Thrones filmed last summer) and a trip to a hot spring to end the day. I used the third day to wander the city of Reykjavik, taking in the National Museum of Iceland, a self-tour of the Harpa and a trip up the Hallgrímskirkja church where I also watched an Easter children's choir performance later in the day. The weather sucked, and due to the Easter weekend and Maundy Thursday (that I didn't even know existed), many of the cute little stores were closed. That said, I got some great Yule Lads ornaments from the Litla Jolabudin (Little Christmas) store and had a "famous" hotdog at Bæjarins Beztu Pylsur (where there was something crunchy under the hotdog and two creamy spreads on top that looked kind of like runny mayo and baby poop). Day four was a day trip to the southernmost town of Iceland, Vik, the viewings of a couple of giant waterfalls - one that I could walk behind, a walk to an arm of the Sólheimajökull glacier, a view of Eyjafjallajökull (the volcano that disrupted air travel in Europe a few years ago) and a visit to Reynisfjara - a black sand beach where the movie Noah was partially filmed. On the way back to the airport on day five, I stopped for a couple of hours at the Blue Lagoon... one of Iceland's biggest tourist traps venues... it was pretty, but not really worth the minimum $65 to get in. In all, I really recommend a trip... you can use Reykjavik as a stopover to Europe on Air Iceland, and in a few days, you can see the main touristy things. One day (after I've seen everywhere else I want to visit), I'll go back and spend a couple of weeks, rent a car and drive around the entire island. Such a beautiful place. And now... the planning for Australia and New Zealand in 2015 begins.